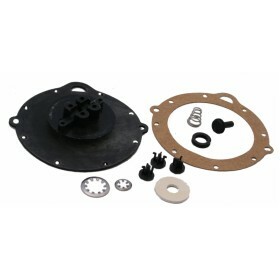 This kit was EXACTLY what I needed to replace the old cracked diaphragm and rebuild the faucet. And for only $15!. l'll bet didn't help the previous owners. "Ordered one item with standard shipping and it arrived in three days! Excellent shipping."